With over 65 million registered users and over 25 million reviews posted on the site, it’s fair to say Yelp is still the dominant force when it comes to social review sites. PureCRO will help you optimize and track the success of your Yelp campaign by making sure you have an optimized Yelp business page. We will also look at the analytics of your Yelp profile and for your site. 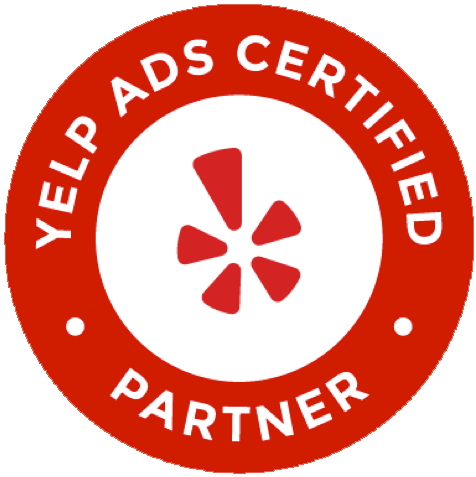 As a Yelp Ads Certified partner PureCRO are able to run your your Yelp marketing campaign. Dedicated account manager support for all of our clients. We are also able to run ads for a lower spend than if you are going directly to Yelp. No Contract Required. Month to Month! We help to promote your business through location-targeted, CPC search advertising to an audience who is likely to buy. Profile upgrade features, such as a Call to Action button, are designed to convert online viewers into real-world customers. Manage and update business information Yelp profiles such as name, address, phone, website, photos & other details. Millions of consumers use Yelp every day to make purchase decisions. Yelp Ads feature your business when consumers search for a business like yours. We help to promote your business through location-targeted, cost-per-click search advertising on Yelp to an audience who is likely to buy. 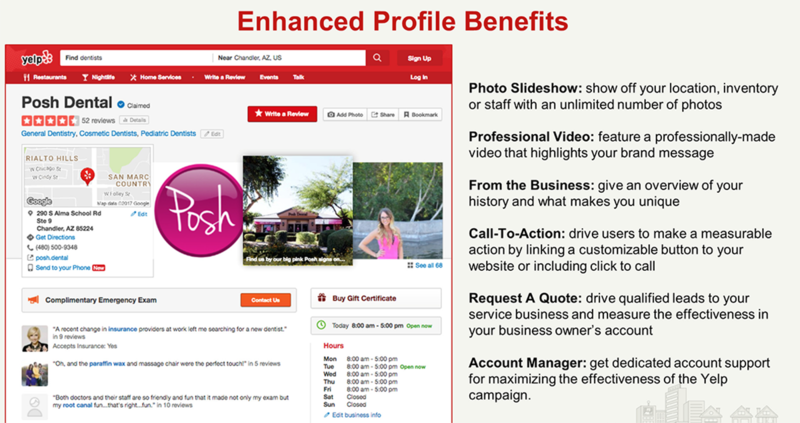 We drive your customers to measurable, conversion-rich actions by upgrading their Yelp business profile. Profile upgrade features, such as a Call to Action button, are designed to convert online viewers into real-world customers. Manage and update business information Yelp profiles such as business name, address, phone, website, menus, photos, and other critical business details. Accurate location data helps more customers find your clients. Copyright © 2018 PureCRO.com All Rights Reserved.